Google Pixel and Pixel XL are termed to be the perfect smartphone built for Android as its a “phone by Google”. Just like Apple does with the iPhone. Since Google is known for it’s software, Pixel comes with all the Google products built in. Most people won’t think of unlocking this power packed device as it’s fast and comes with all Google features. But what about customization? Stock Android has the least customization options. After a time being, most of us get bored of our smartphones because of the same old Stock interface with the performance degrading due to the bloatwares. 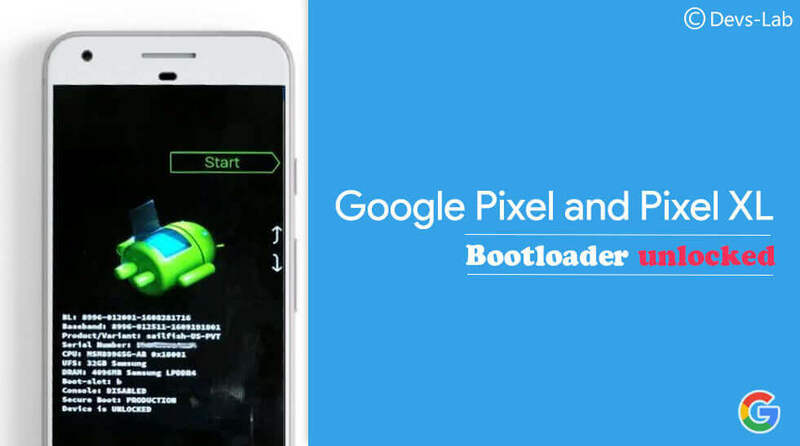 At that time you might decide to unlock bootloader on your Google Pixel device and root it. If you have bought your device from Google’s Official website, you must follow this procedure. In case you have bought your Pixel from any third party seller like Verizon, EE etc. You must follow unlocking bootloader on verizon Pixel procedure. Unlocking Bootloader on Google smartphones has always been pretty easy as Google always supports unofficial development. Enable USB Debugging in your device: Goto Settings > About Phone > Tap 7 times on build number. Now return to Settings app & you’ll find “Developer options”. 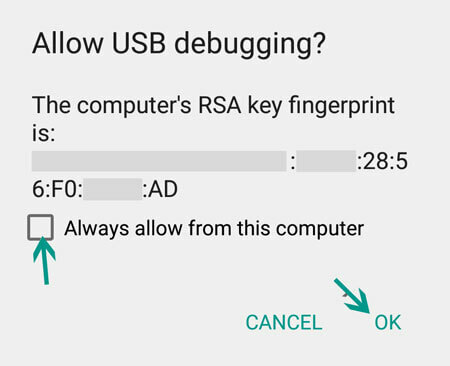 In developer options, find “USB Debugging” & enable it. Install ADB Drivers & ADB tool. Make sure your device is charged upto atleast 50% to avoid any shutdown during the entire unlocking process. Backup all your Apps, contacts, messages, call logs etc as unlocking bootloader erases all your data. You can perform a wireless backup by saving your data directly in your PC by using FlashFire tool. Step 1. Enable USB debugging(Refer above) in your device and Connect your Pixel device to your computer. Step 2. Download minimal ADB and launch ADB tool. Step 3. To check if everything is working fine, type “adb devices” in the command window. Step 4. You’ll see a popup in your device for confirmation. Click “OK”. You’ll see your device code in command window as shown above. Step 5. To unlock your Pixel and Pixel XL bootloader, type “fastboot oem unlock”. You’ll see a warning message on your device, Press Yes. Step 6. You’re device will go through factory reset. You have finally unlocked Google Pixel. Step 7. To reboot your device into System, type “fastboot reboot” or Press and hold power button until vibrate. Rooting such an awesome device is actually not needed if you’re a normal user. But who doesn’t love experimenting with Tech! Make sure you think twice before unlocking the bootloader as it will void your device’s warranty. If you have any questions regarding the procedure, you can ask us below. Google Pixel and Pixel XL: How to install TWRP Recovery. How to root Google Pixel and Pixel XL in 4 steps.